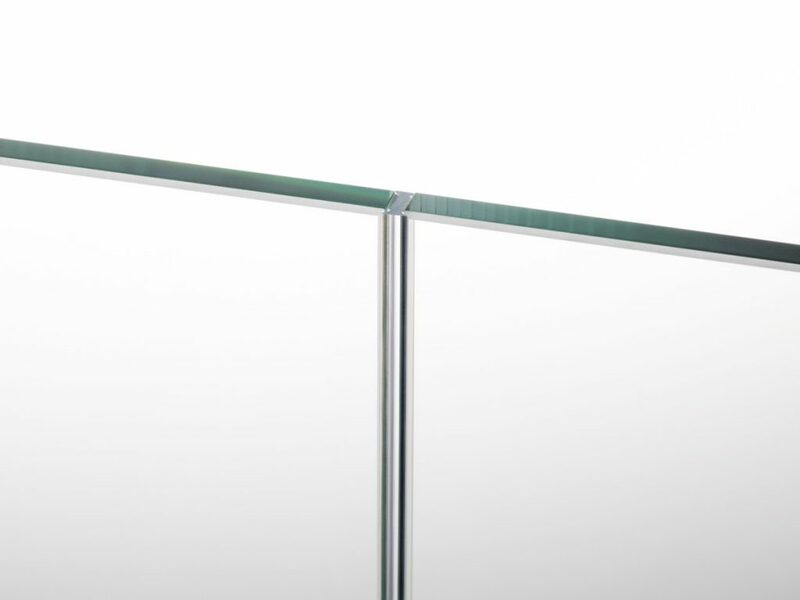 Now available from stock, our new slimline and transparent dividers are suitable for 10/10.8mm – 12/12.8 mm glass thicknesses. Being UV resistant GA’s clear divider jointing and 90˚corner strips are the perfect dry-fit alternative to using liquid silicone. 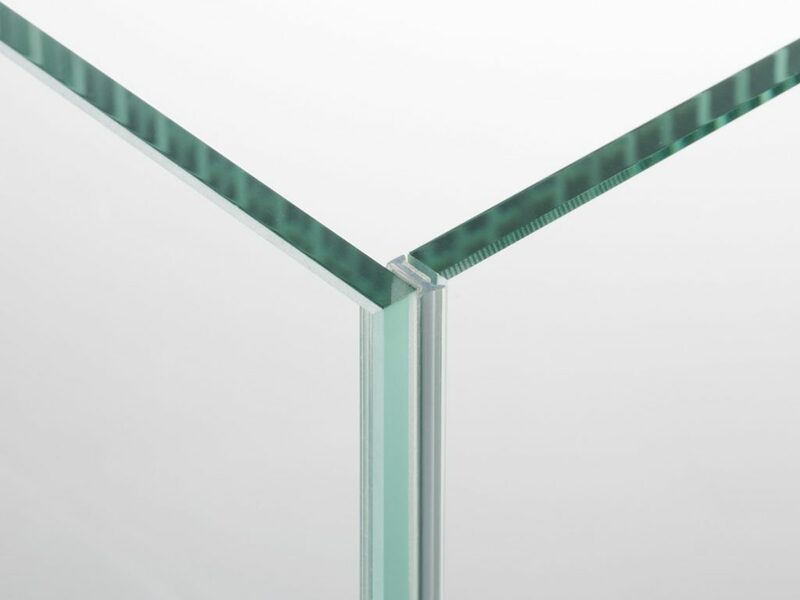 A specially developed glazing wedge is located into the channel’s holding slot, before the glass is fitted. 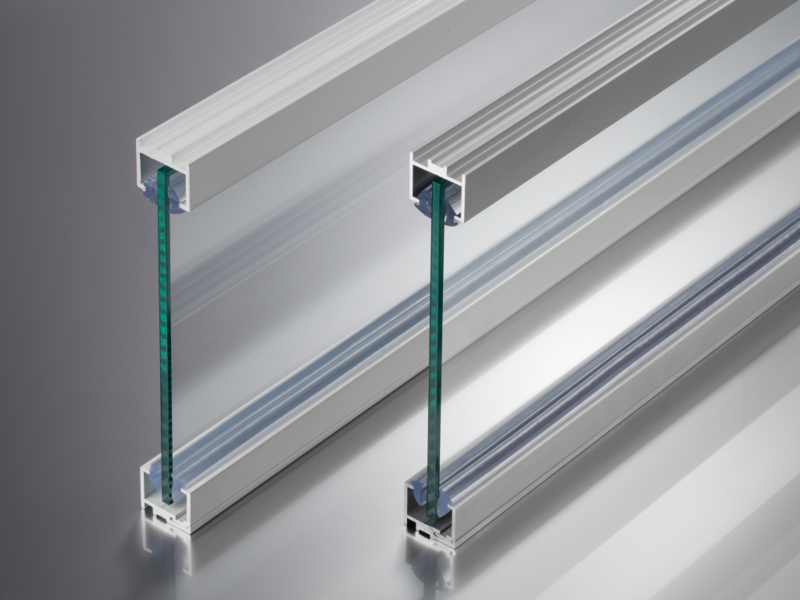 Our ingenious (floor level) 2-part Shuffle-Less glazing channel (GA 7035 /GA 7036), allows for a minimal head channel (GA 7031 / GA 7032) to be installed, rather than using a channel with elongated flanges. 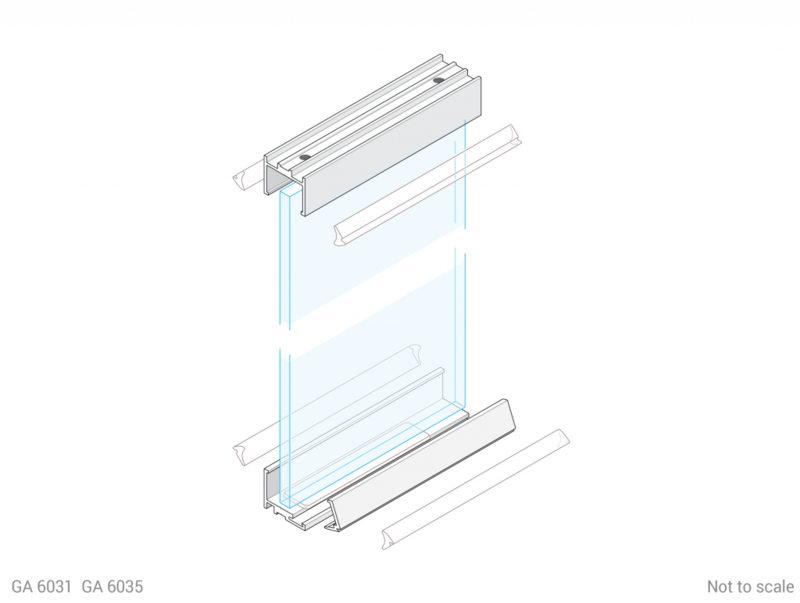 GA’s new glazing channels offer a professional high-quality solution for installing 6mm thickness glass panels. 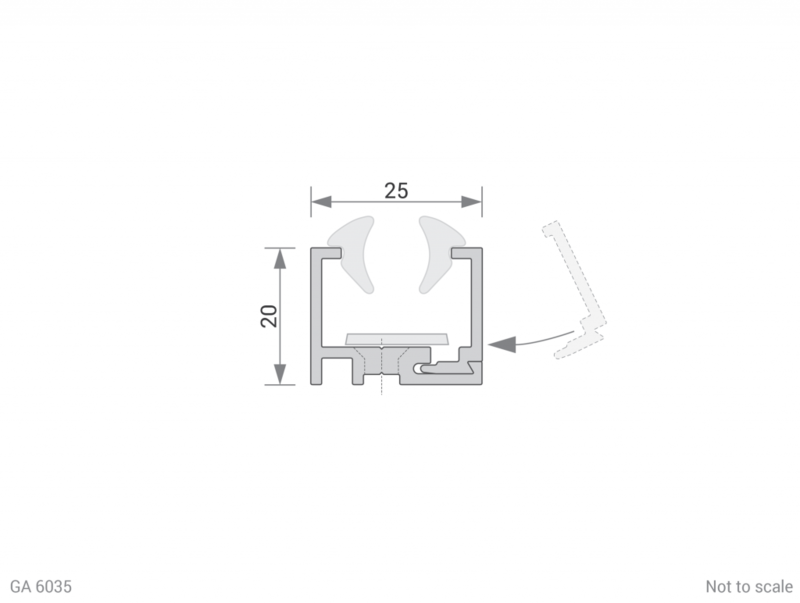 Our ingenious (base level) 2-part Shuffle-Less glazing channel (GA 6035), allows for a minimal head channel (GA 6031) to be installed, rather than using a channel with elongated flanges. 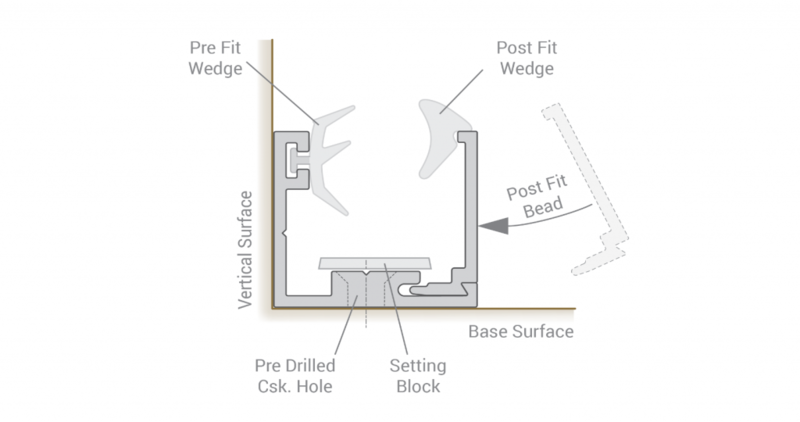 For easier and quicker installation, the channels are pre-drilled with csk. fixing holes. 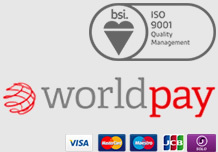 UV stable/anti-microbial glazing wedge and flat packers are supplied with every order. These aluminium items are available from stock in natural anodised and white powder coated finishes. N.B. Intended for interior applications only. 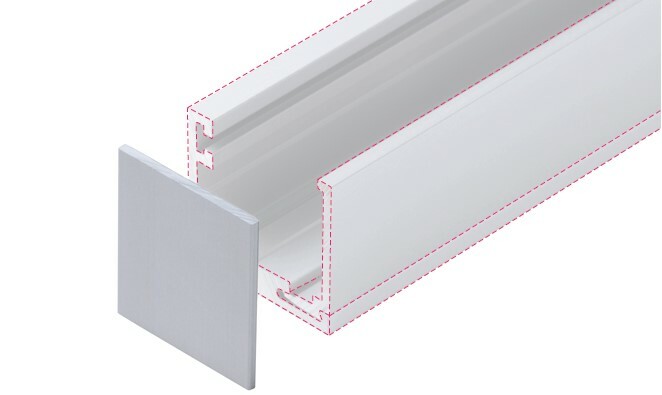 The 2-part Shuffle-Less glazing channel (GA 7035 /GA 7036), allows for a minimal head channel (GA 7031 / GA 7032) to be installed, rather than using a channel with elongated flanges. 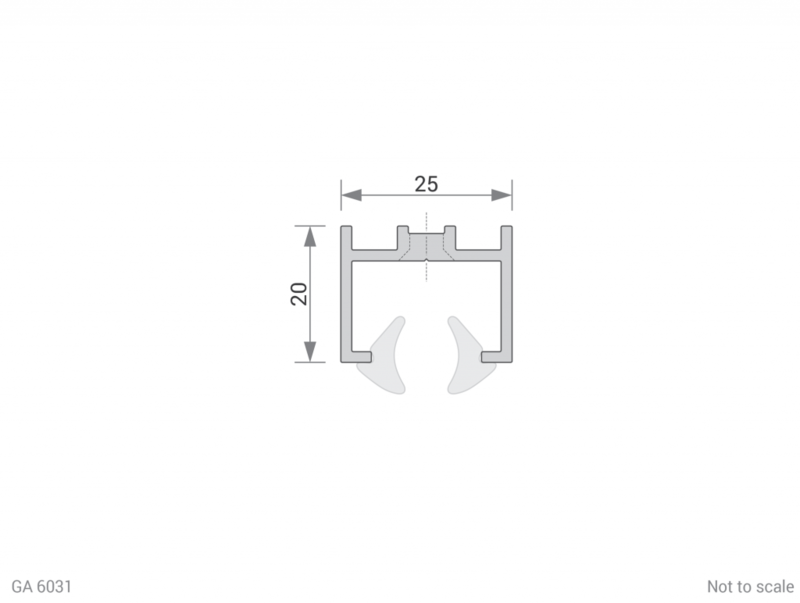 UV stable glazing wedge and flat packers are included with every order. 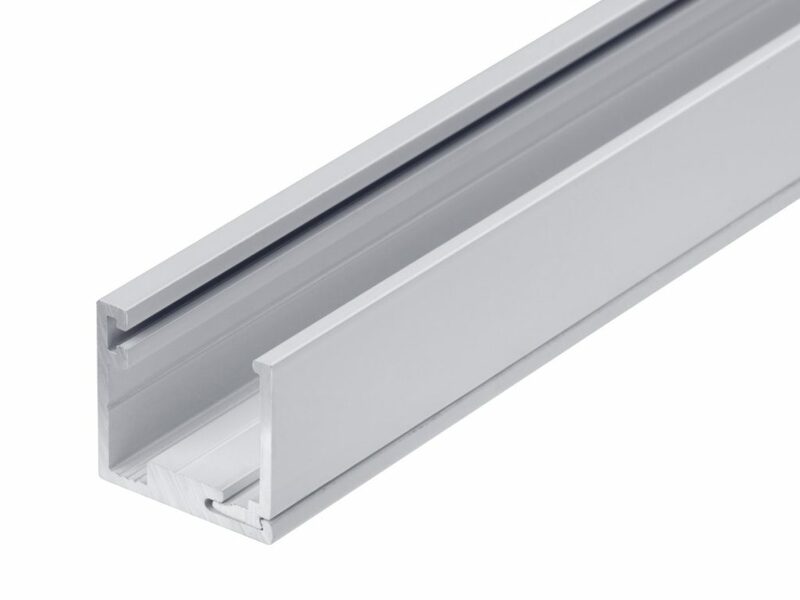 These high-quality aluminium glazing channels are available from stock in natural anodised, and white powder coated finishes. 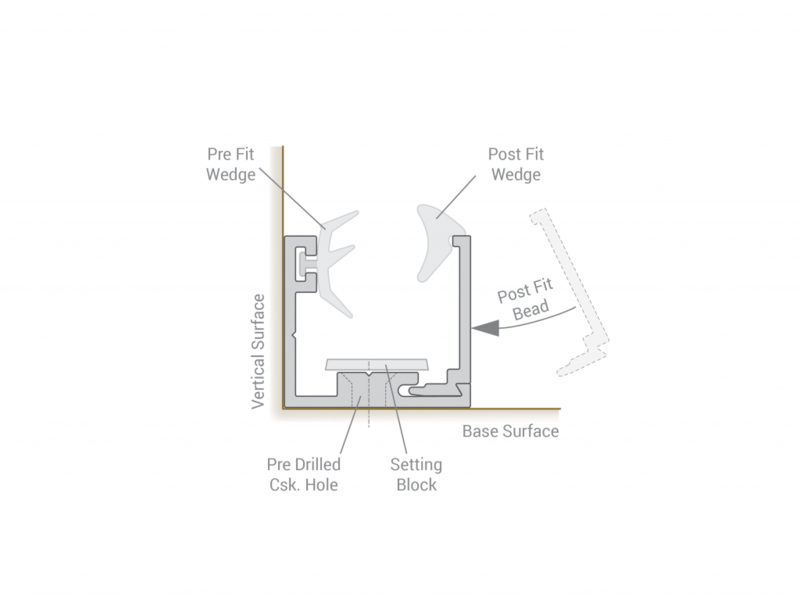 For more information about our glazing channels, click here.